Sacred Heart (Ubi Caritas III) is a setting of the 2nd stanza from the three-stanza Ubi Caritas text. I’d already set the first in 1999 (Ubi Caritas) and the third one in 2012 (Ubi Caritas II: Through Infinite Ages). 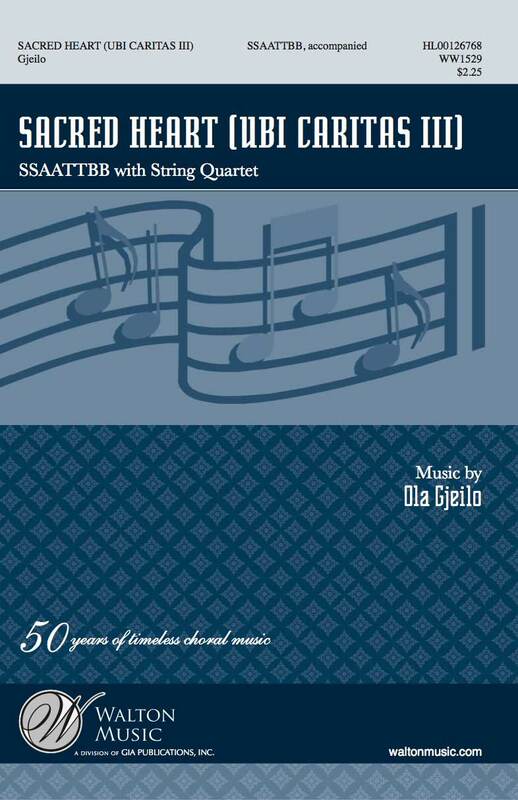 While Ubi Caritas II partly played around with some of the material from my first Ubi Caritas, Sacred Heart (Ubi Caritas III) is completely independent from the other two, content-wise, and also deploys a string quartet. Ubi Caritas and Ubi Caritas II were written for a cappella choir. With all three works now published by Walton Music, the set is complete. And while each one of them are independent works, they were also written with the potential in mind of being performed in succession, or spread across a concert program/recording.